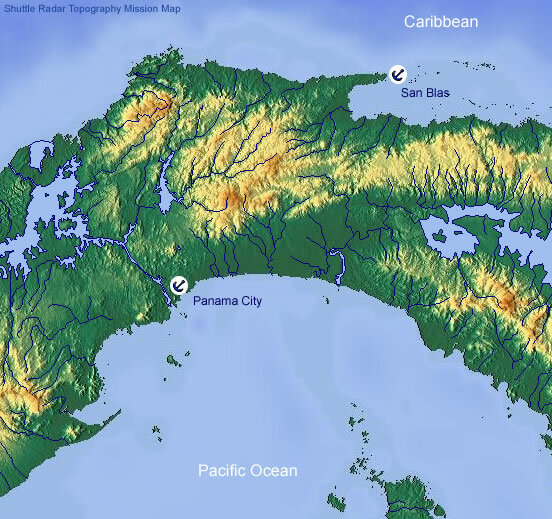 Located between Central and South America, Panama covers 75,517 km 2 and is bordered both by the Pacific Ocean and the Caribbean Sea – only 50 miles separate the two oceans. With 3 and a half million Panamanians, the country has an ethnic diversity with equal representation of Indians, Asians, Afro –Americans and Europeans. Spanish is the official language, but English is also widely spoken. All major credit cards are accepted and there are numerous ATMs all over the country. However, in San Blas the situation is totally different, with almost no trace of civilization. 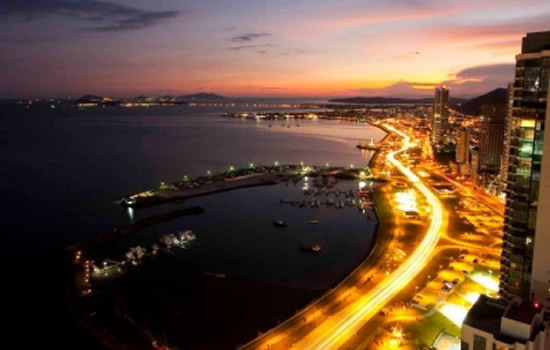 Panama City is a blend of modern and ancient architecture, with old quarters (considered world heritage) and also with the ruins of the old city before it was destroyed by Captain Morgan. The Canal is a sightseeing highlight and not to be missed: see our Panama City tour or the mixed package with a tropical jungle lodge, sailing and Canal Tour. Night view of the beautiful city of Panama Panama, world class city Crystal water in Bocas del Toro Visit Panamas empty beaches San Blas, selected as the third most beautiful destination in the world Submerge in a sea of sensations In Panama, sea life blossoms in a colorful explosion Parade "Las mil polleras"
Protected by a large barrier reef, a cruise through the San Blas archipelago could not be more ideal. Gentle breezes, small waves, short sails (one to two hours) between islands. Pure pleasure. Please click below for a sample itinerary. Once anchored the boat, and thanks to the supplied equipment on each boat (mask, snorkel and fins), the snorkeling is truly accessible for all. Spear fishing is allowed and hunting enthusiasts will appreciate the variety of fish. If you do not fish, most captains will do it for you: Most meals are based on the catch of the day. Animals are also numerous and very interesting to observe: bird watching includes seabirds but also river birds, more numerous. Marine life is represented by eagle rays, barracudas, sea stars, nurse shark, but also the clown fish, parrot fish and thousands of small fishes of all colors. The Coral of all colors is also of great interest in the animal kingdom: San Blas offers magnificent “falls” from 3 to 100 feet, excellent for snorkeling or spear fishing. Swimming in turquoise waters is just surreal!